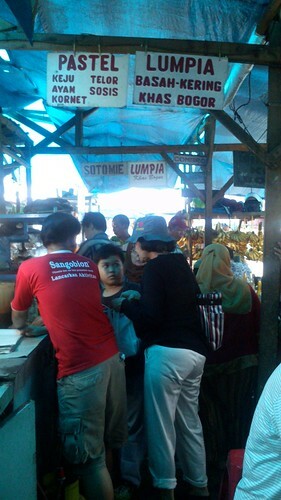 I was back at my hometown Bogor last weekend. Despite the short trip, I manage to get parts of my craving on hometown cuisine. I might as well would do some series in my short trips to Bogor every now and again. 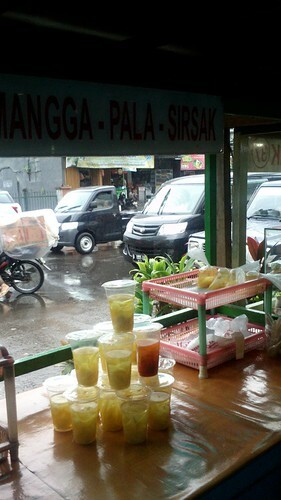 Anyway, like always, Bogor always, ALWAYS rain! It’s the famous rain city of the archipelago after Pontianak, second highest rate in this country. 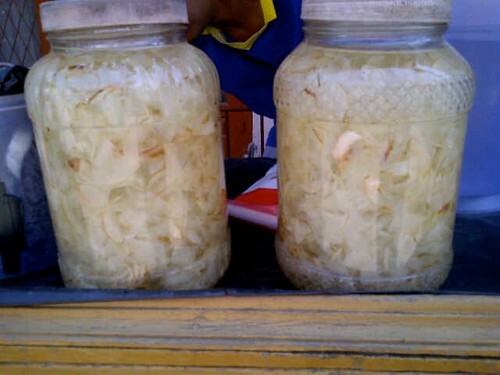 All of people coming to Bogor always hunt for the famous Asinan Gedung Dalem (basically pickle) and Roti Unyil Venus (small cute bread in various of flavor and toppings). 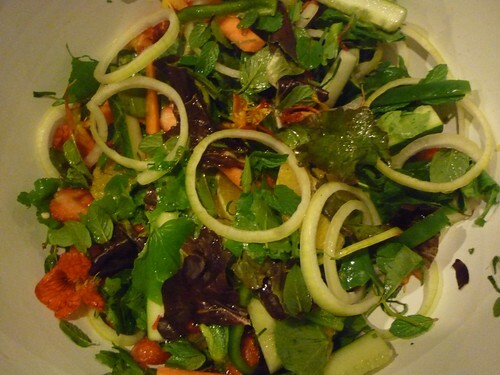 The asinan divide into two types, the fruity sweet ones and the semi salty vegetable ones. I like the fruit ones the best. I would not post about those two famous things here. 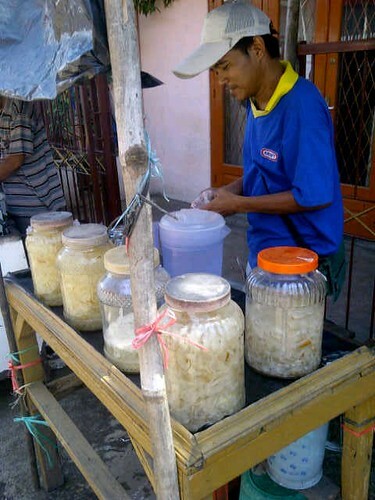 But I would post about the Gedung Dalem street food just in front of the Asinan Gedung Dalem stores. Before they move to a newer building and having a few branch in the city, this area is famous for their traffic jam in the weekend, because everyone and everybody crammed for buying the famous asinan. The traffic jam lessen in this area now, although Bogor is still packed with weekenders from Jakarta every bloody weekend. This is my old time favorite and also my mother, I usually buy the one on the right corner stall. 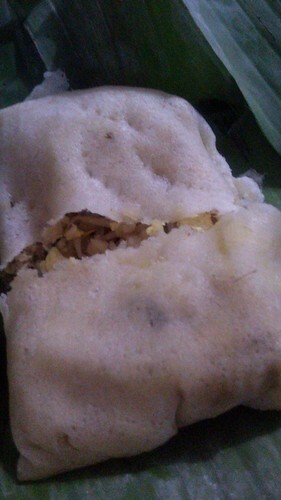 Despite there are options of buying fried ones, the specialty of this place to offer is the wet lumpia (springroll) or famously known as Lumpia Basah Gedung Dalem. Per piece is only 7000 IDR. Served hot with their own sambal. 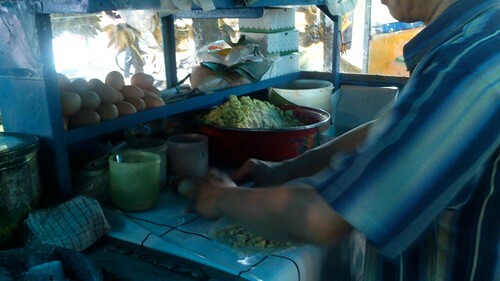 The guy made the filling, stir fry on the spot with fresh bamboo shots, eggs, dry shrimp, garlic, tofu, bean sprouts. 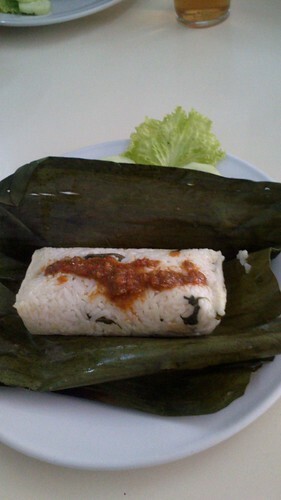 Super delicious, wrap with soft spring roll skin and banana leaves. A delicious treat! While going just across the street, you will find RM Sisca. This small restaurant is famous for their Nasi Pepes Ayam. 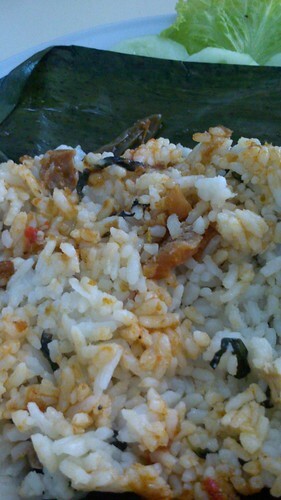 It is basically rice steam with coconut milk, chicken, jambal dry fish, indonesian basil, chilies, petai (stink beans), wrapped in banana leaves. The sambal here is special too. Trust me you will finish two portion in one go. As a child I always love when my family made the nutmeg syrup. That’s why I lurvveeeee the ice nutmeg syrup they have and serve with slices of the nutmeg fruit! 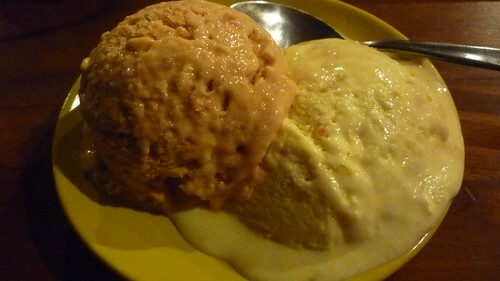 The yummiest thing ever :D And yeah, in Gedung Dalem stalls they come with other variety such as Mango and Soursoup. 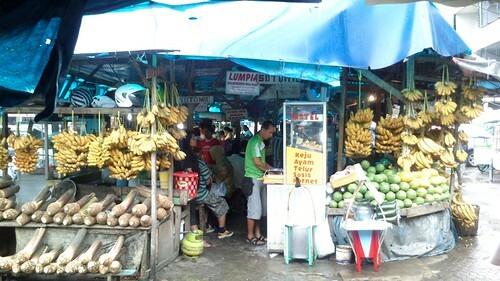 Another area for famous street food is the Kesatuan alley via Suryakencana street. I’ll take more picture next time, but here is a little peek on the famous ice nutmeg sellers of this street. It’s one of the best in town! Nutmeg slices in nutmeg syrup, the best in a hot day! I know him since I was 16 and I finally met him when I was 23. We crossed path along the way, but we finally met in Yogyakarta. After long emails on Pablo Neruda poems, of Garcia Lorca and all the long listed favorite authors that we are both crazy with. I come to Yogyakarta when he left. We met accidentally seven years later, not recognizing each other over beers and bilingual conversation. He thought I was Japanese and I never thought that he was Coki. He cut his famous dreadlocks by then and time changes our expectation. Through time he become one of my great friend, part of my soul mates, my brother and the trusted uncle to my son. He is my partner in crime of the twitter timeline in making people drown with melancholia by posting the lines of our favorite poet, Pablo Neruda. We share recipes because we both love cooking. Though he complain that I never cooked for him yet and when we met it always the other way around. He is one of the amazing cook that I ever know. With this video of his, it reminds me that it is so hard to not fall in love with this country. And when you did, it is so hard to keep on loving it. Entering the last month of 2012, somehow made me reflect a lot. The above quote is a summary of about how I feel this year. Those quote somehow remind me of the feeling when I arrived in Ngobaran beach. 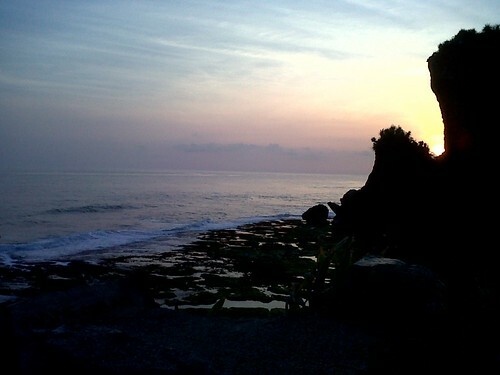 I had my first trip to Ngobaran beach with Patrick and Pak Moko. We passed the hilly roads of Gunungkidul which had that certain melancholic view, crossing the teak forest and all. 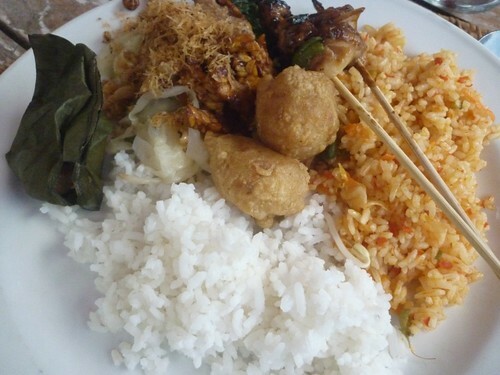 Ngobaran, the word come from both Javanese and Indonesian “Kobar”. 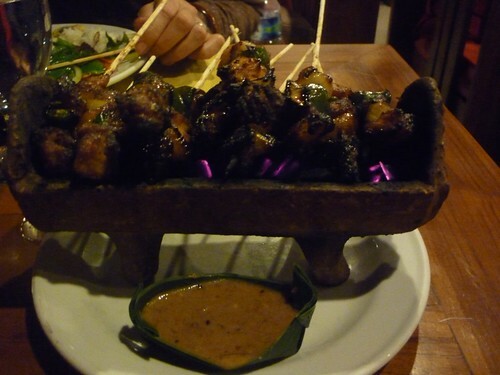 “Kobar” means flame, “ngobaran” means in flame. The place itself believed by the local as the place where the last Hindu king from Majapahit kingdom, Brawijaya V, immolated himself to death. Some believe he is “moksa” (vanish into enlightenment). The official story which I read in the morning of the government tourism sign, was a little odd myth. It is said that the last king had two wives, they were being chased by new ruler from Demak, which are no other than one of his son, Raden Patah. Before he immolate himself he asked the two wives a question “How much is your love to me?” His second wife, Dewi Lowati, said her love is as big as the mountain. While his first wife, Bondang Surati answer that her love is like a dirty nail, where when she cut it, it will always grow. Realizing that his second wife love is lesser than the first one, he pulled Dewi Lowati to burn with him into the fire. Although there are many tales around about the death of Brawijaya V, I found this quite intriguing. Not to mention, the surrounding temple complex. A sacred pura (temple) with Balinese style undergoing a renovation. A new looking candi recently build by the Kraton. 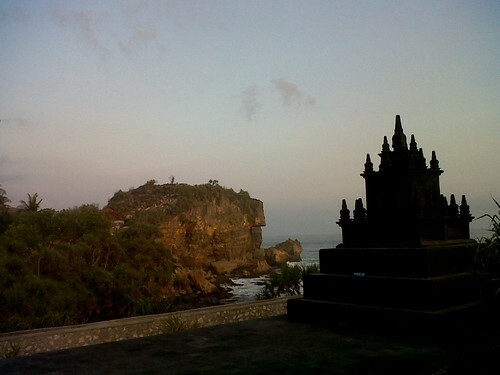 A sacred petilasan of Brawijaya V, with wooden huts on top of the highest cliff point towards the sea. A temple build exclusively to the South Sea Queen. Caves. 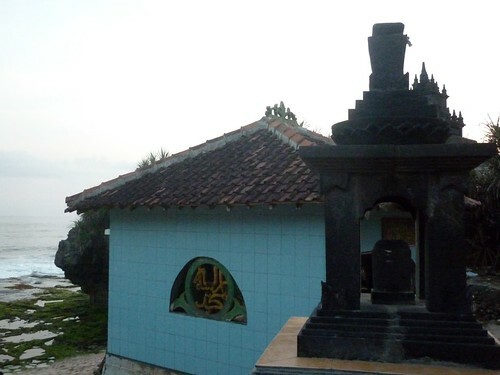 A mosque facing the south and next to a lingga. The diversity of beliefs in this place make it one of the favorite sacred spot for many people coming here. Sea urchin stir fry, high protein! Magnificent sunset from above the petilasan. Sleep under the stars by the candi. Hearing the waves all night long. 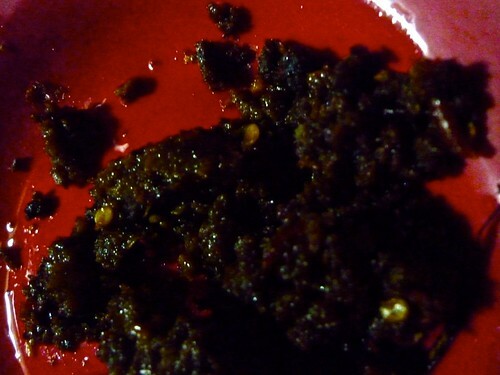 Eating stir fry sea urchin of local specialty with rice and hot sambal. Entering a cave that rain from the inside. Those were the things you could do while in Ngobaran. Do things with respect because you could felt the sacred sense of this place no matter you believe the myth or not. 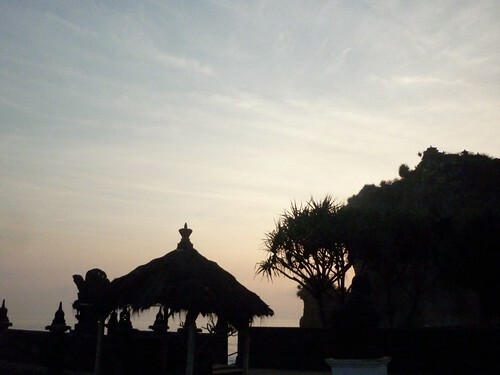 I really could stay up in Ngobaran once again, just to make it another sanctuary when I need to write my own language. Where the nature, spirit and self talked as one. 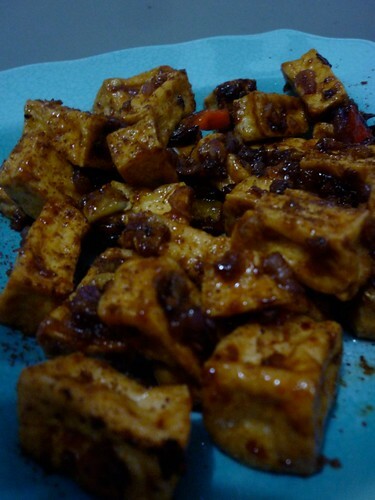 easy peasy recipe is a must in the sahur time of the ramadhan month. despite i’m not a moslem, i always like the idea of fasting. this is a recipe i made in sahur time (2-3 AM, the ungodly hours of cooking time). it’s fast and definitely tasty. 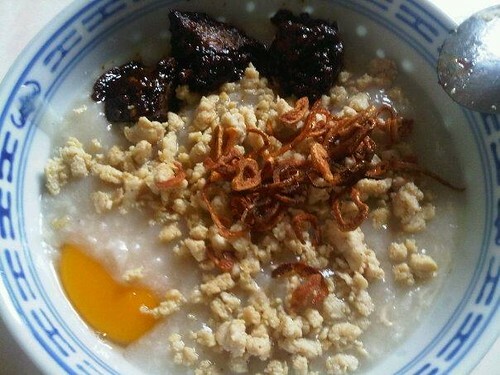 the legend said that a bowl of this chicken porridge could rise someone from the death. well, at least that is what my friends said after eating this porridge. it makes many of the pregnant mothers friend crave. one of them even have to wait for me coming back from india and making this for her only. 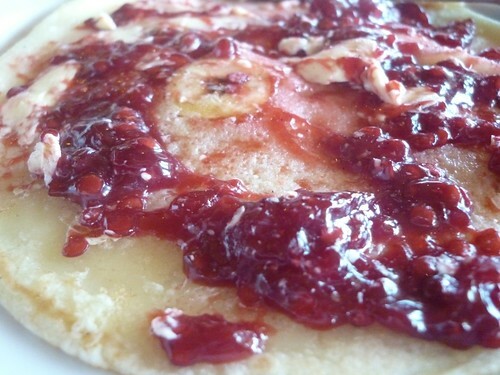 and yes, because of the special request of another awaiting mom to be, i post this recipe.